A lavish property along the no-drive beach of Ponce Inlet, the Martinique offers the luxurious oceanfront lifestyle you’ve been looking for. Behold breathtaking sunrises over the Atlantic coastline from a sprawling balcony or toast the setting sun in a haze of orange and yellow hues as it disappears beyond the Halifax River. The Martinique offers nearly unparalleled privacy with only four units per floor, and boasts spacious floorplans with many custom amenities bringing you the utmost comfort. The building features controlled access for your security, an oceanfront pool & hot tub, fitness room, a social room, reserved parking, two elevators, and more. There really is no beating the ability to step out your front door and onto the private, soft sands of the car-free beach below, while you forget all the troubles of the world under the warmth of a Florida sun. Call us today to explore this exclusive condo option in Ponce Inlet, but hurry as these popular properties aren’t on the market long. The building features controlled access, an ocean front pool & hot tub, fitness room, a social room, reserved parking, two elevators, and more. 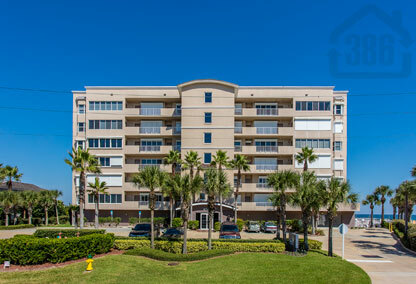 The Martinique condominium is only a short walk away from Ponce Inlet, The Lighthouse, Marine Science Center, and Water Taxi. Pet Policy: One up to 30 lbs.